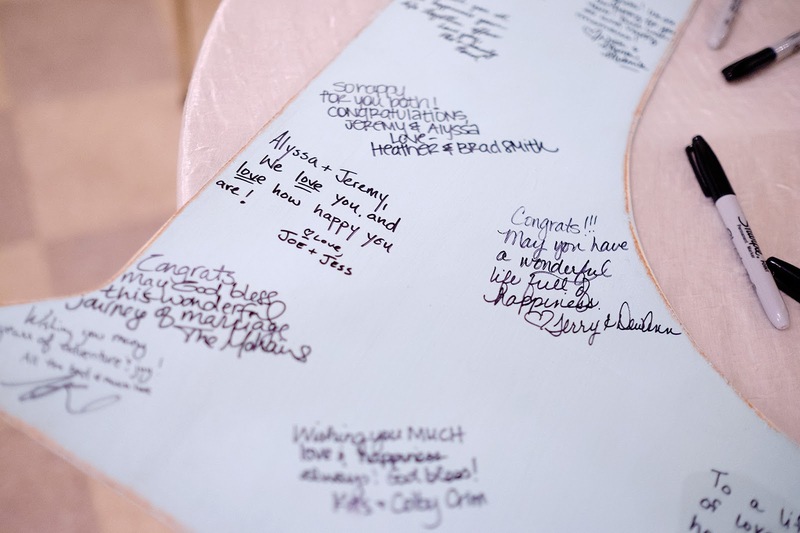 I haven't really gone into too much detail in regards to the wedding recap. So, today, I'm going to keep it short and sweet and share two details that turned out even better than I could have imagined! You might recall that when Jeremy and I got engaged we started an "L" collection. 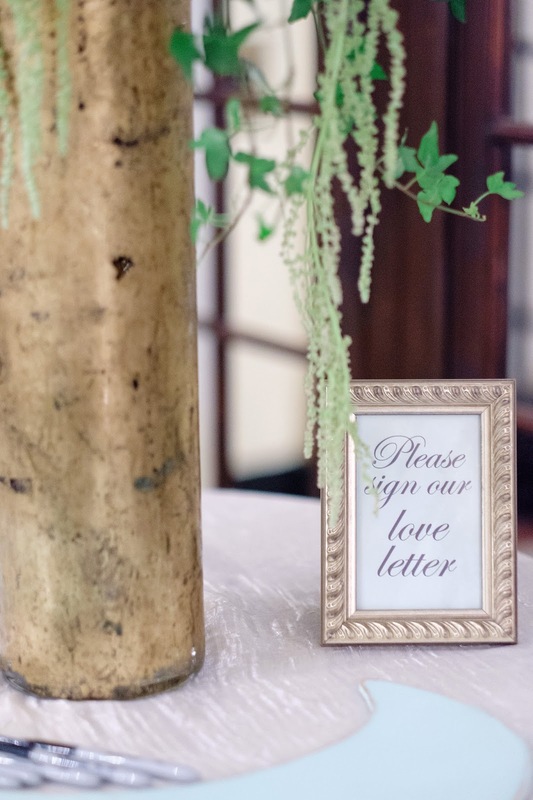 Instead of going with a typical Guest Book, I found a giant wooden "L" on Etsy and decided to use that! I even had it painted a pretty mint color. 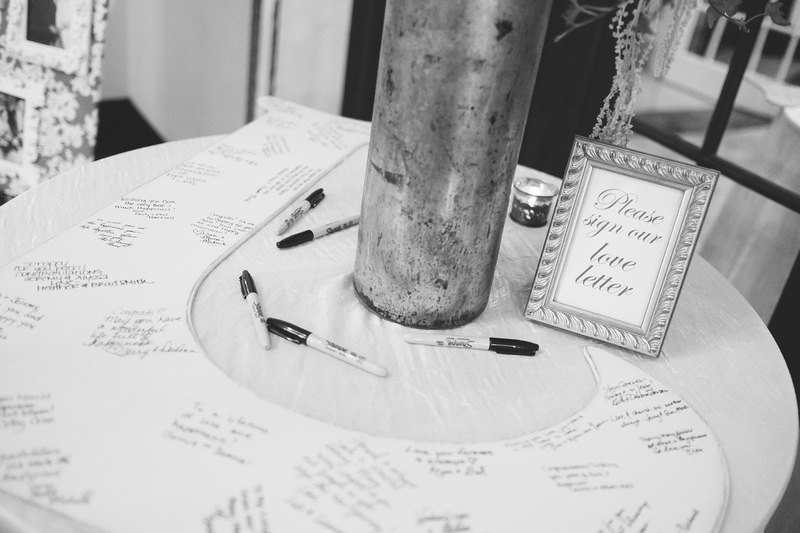 We had all our guests sign our love letter (hah.. get it?) and now we have it hanging on a wall in our home. I love seeing everyone's little message every single day. Another special detail was our Seating Chart. During the wedding planning process, my Mom and I would sometimes sit on the phone while we were both scanning Pinterest for ideas. We even had a secret pinboard and everything. 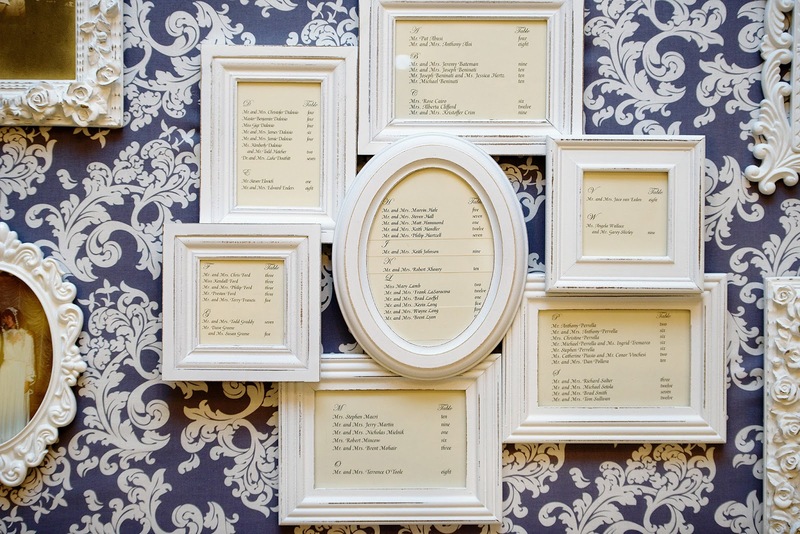 One day, while we were doing this, we stumbled across a seating chart that used picture frames. We took the idea one step further. 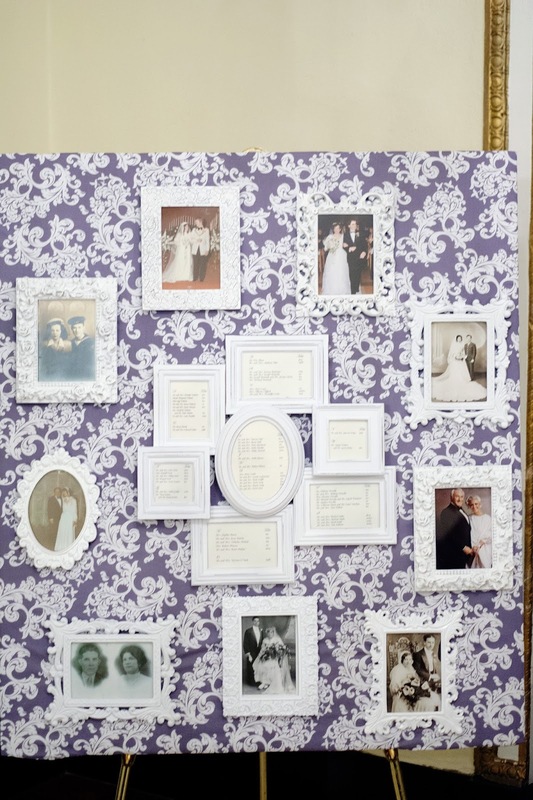 We surrounded the seating chart frame with pictures of family members on their wedding days.